Call it clan, call it a network, call it a tribe, call it a family. Whatever you call it, whoever you are, you need one. This Intensive is within a natal delineation series on techniques around family which includes ancestors, offspring, siblings, and extended relatives. What the astrological heritage offers about these very personal relationships will be reviewed. Practical examples will be used to demonstrate various methods in the charts of individuals and family groups. Parents will be the particular subject of this Intensive, as they are a matter of fact preceding any birth, and assessing their condition and capacity was important in ancient astrology. For personal life experience was quite dependent on the state of the family background and inheritance. 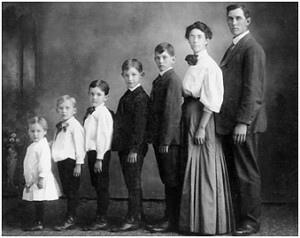 Societal position largely stemmed from familial status, so that the potential style of anyone’s role and achievement could depend on parental class, rank, and reputation. Knowledge from the centuries of astrological heritage offers more detailed procedure for pursuit of familial information. Attention will be given to identifying and working with the traditional significators of mother and father and how these were used to outline parental background and life. Techniques which delineate different aspects of the relationship between them will also be included. The central astrology which indicates the relationship of each parent to the native will also be addressed. Whilst the astrology of earlier centuries and cultures obviously stems from an older context, there is no doubt about the greater practicality of applied approach that tradition offers. The Art, in itself, is essentially of an overall archaic essence which has to be transmuted into the context of today. In addition to lending more detailed method for delineating parents, it is also possible, for the twenty-first century astrologer, to explore how these traditional ways may translate to modern psychological reflections. This intensive (AP19) was first presented on the Gold Coast(GCAS) in May 2011.